As many of you know, there are many ceremonies from Guardians changing to elders, to owlets changing to apprentices, to apprentices changing to guardian, for name changes, etc. etc. Here is a list of them. These will be used in these certain situations for naming and the like. Leader: From this moment, until he has earned his warrior name, this apprentice shall be known as ______. ______, you will be mentor to this apprentice. You are a true and trusted guardian, and I hope you will pass this knowledge to your new apprentice. Leader: I, _______, leader of ________, call upon my warrior ancestors to look down on this apprentice. (S)he has trained hard to understand the ways of your noble code, and I commend him/her to you as a guardian in his/her turn. ______, do you promise to uphold the guardian code and to protect and defend this Clan, even at the cost of your life? Leader: Then, by the powers of StarClan, I give you your warrior name. _______, from this moment you will be known as _______. StarClan honors your _____ and _____, and we welcome you as a full member of _________. Leader: Spirits of StarClan, you know every owl by name. I ask you now to take away the name from the owl you see before you, for it no longer stands for what (s)he is. 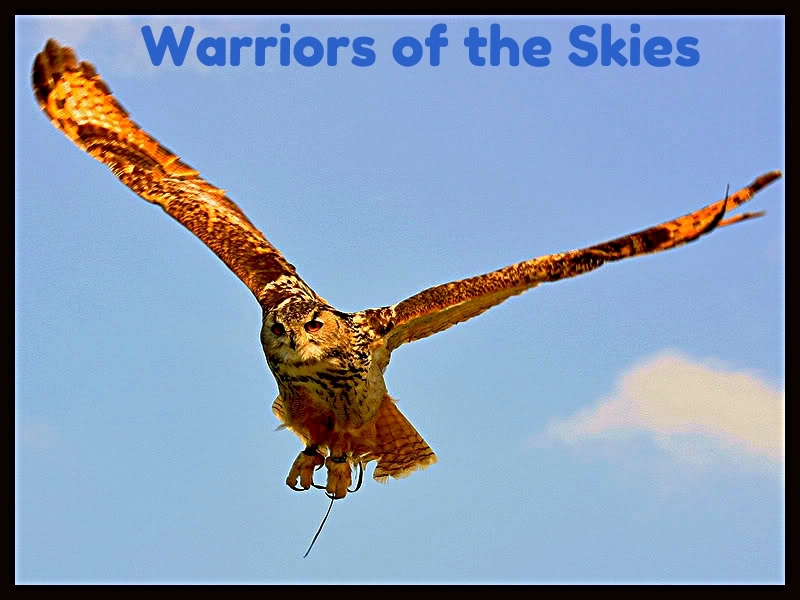 By my authority as Clan leader, and with the approval of our warrior ancestors, I give this owl a new name. From this moment (s)he will be known as ______, for _______. Leader: ______, is it your wish to give up the name of guardians and go to join the wise ones? Leader: Your Clan honors you and all the service you have given us. I call upon StarClan to give you many seasons of rest. Medicine Owl: I, _______, medicine owl of _______, call upon my guardian ancestors to look down on this apprentice. S(he) has trained hard to understand the way of a medicine owl, and with your help (s)he will serve your Clan for many moons. _______, do you promise to uphold the way of a medicine owl, to stand apart from rivalry between Clan and Clan, and to protect all owls equally, even at the cost of your life? Medicine Owl Apprentice: I do. Medicine Owl: Then, by the powers of StarClan, I give you your true name as a medicine owl. _______, from this moment you shall be known as _______. StarClan honors your knowledge and certainty, and we welcome you as a full medicine owl of __________. Medicine Owl: I, _________, medicine owl of _________, call upon my guardian ancestors to look down on this apprentice. He/She has trained hard to understand the ways of a medicine owl, and with your help he/she will serve his/her Clan for many moons. _______, do you promise to uphold the ways of a medicine owl, to stand apart from rivalry between Clan and Clan an to protect all owls equally, even at the cost of your life? Medicine Owl: Then by the powers of StarClan I give you your true name as a medicine owl. _______, from this moment you will be known as __________. StarClan honors your [insert virtue #1 here] and your [insert virtue #2 here], and we welcome you as a full medicine owl. Location : Cracking jokes in Skyclan!